Some people love talkative dogs, but others want or need to keep the sound level down. Here are five breeds generally known to be quiet. Some of them are large, so when they do decide to bark it's a mighty sound. 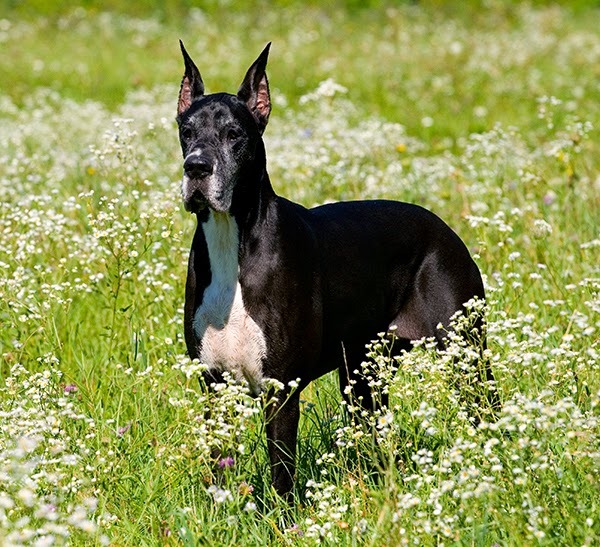 The Great Dane is one of the largest breeds on the planet, and that might be why these dogs don't feel the need to bark often. They're known for being gentle giants with a calm and pleasant nature. Of course, when a Great Dane decides to bark, it's a loud and deep sound. The Newfoundland is also very large. They're known for being docile, intelligent, and courageous. Most Newfoundlands are extremely loyal, and love children. Italian Greyhounds are small, cute, and intelligent. They don't always like to do what humans tell them, but barking is rarely an issue. The Whippet is a race car on legs and few other breeds can keep up, but indoors they're generally calm and love to snuggle. Whippets are known for being quiet indoors. Outdoors is another matter. Golden Retrievers are wonderful dogs who love to make friends and please people. They're not big barkers, but they are active and need exercise, play time, and brain games to stay happy. Did we miss a quiet breed that you think should have made the list? Tell us in the comments! No surprise we are not listed. We love to hear ourselves bark and howl! As with any dog, it depends on the situation and their personality. My neighbors as a child had Newfies and those dogs barked all the time. But any dogs left alone all the time in the yard would. Chesapeake Bay Retrievers are another for your list- they bark loudly when it's really important but are generally the strong, silent type. Oh yes, they're all individuals, and I agree - if you leave a dog alone outside all the time they'll bark. Good tip about the Chesapeake Bay Retrievers!